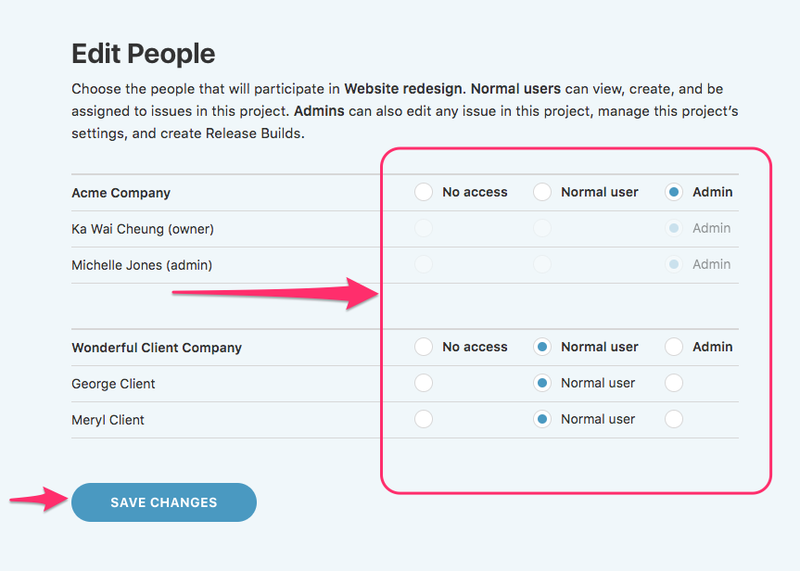 If you're an account admin, you can add, remove, or change permissions for users on a project. Note: This option is only available for account admins, not project admins. If you're a project or account admin, head to the project's dashboard, then click on the Project Settings icon and choose Edit People on this Project. On the Edit People panel, choose the permissions level you'd like to give each person. For convenience, you can click the radio buttons next to a company to bulk assign the same permission to all people in that company. Click the Save Changes button to update permissions.